The Securifi Almond 2015 has arrived, in the year, erm, 2015 funnily enough! Back in 2012, the original Almond was released. It was the world’s first touchscreen router, which made it the coolest thing on the planet at the time. So a few improvements have been made – that’s great. Any more detail? The touchscreen stays of course, which gets the big thumbs up from us! Intuitive and easy to use, the touchscreen display gives you easy access to the Almond to monitor and configure with ease. Setup can be completed in literally 3 minutes. All through the touchscreen (or log in via GUI if you prefer – but why would you want to do that? lol). The coverage area has been increased. Now up to 3000 square ft can be covered at once (depending on design and dimensions of your home). It’s a 30 percent increase over the 2012 original. At last! A USB port! Securifi, in their wisdom, have decided to include one on the Almond ’15 (sadly lacking on the previous model). It’s a USB 2.0 port which is sufficient on a Wireless N router. Use it for centralizing storage in the home, or plug in a USB printer. The Almond 2015 can be managed via an app – which works on a phone or tablet. In conjunction with Zigbee, you can hook up compatible sensors, enabling security of your home doors and windows. You can then set up the Almond 2015 to alert you of an infringement. It’s also possible to take control of home appliances too! Light, temperature and more can be adjusted from one location. Can be done on a time schedule as well. It makes for an easy way to turn on the heating before arriving home from work! Router – Of course, the traditional mode of a…. router! Wireless Bridge – Connect the Almond ’15 to another router via wireless, then plug in your wired Ethernet devices into the LAN ports. 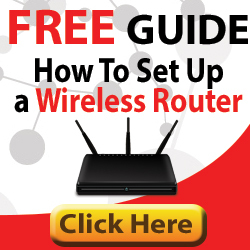 This is a great way to connect wired devices into your wireless network. Access Point – Use as a straight-forward access point. Connect your Wi-Fi clients to the Almond. 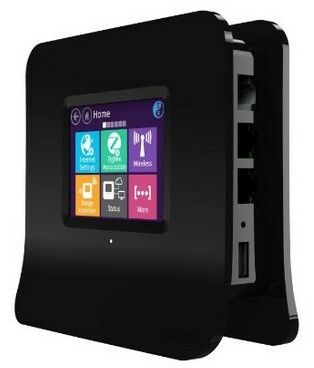 Using a cable, the Almond connects back to a centralized router/switch.